Here are some facts about this beautiful area that may be useful to you as you consider purchasing Park City Real Estate. Founded in the mid-1800s after soldiers discovered silver in the surrounding hillsides, Park City has a long and storied history. It first established itself as a mining town, then made the successful transition to year-round resort where families and visitors stay and play side-by-side. Though the official city limits encompass just 17.6 square miles, its extended community includes the areas found on the west side of Summit County. From Promontory and Hwy 40 to the east, to the neighborhoods north of I-80, to Summit Park to the west and Deer Valley to the south, Park City is both a geographic area and a lifestyle that residents hold near and dear to their recreation-loving hearts. 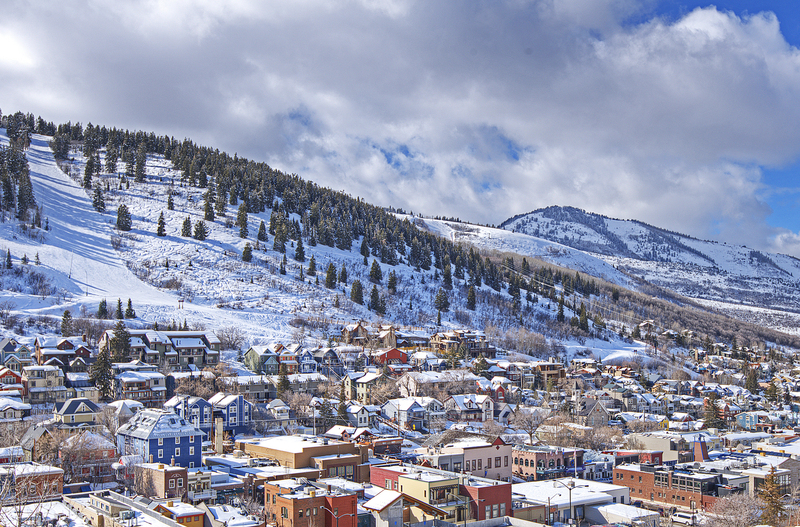 Park City enjoys one of the most diverse communities in the state. Many residents have relocated here from throughout the U.S. and the world. The wide range of housing options allows residents to work and live in the same area–an anomaly among many other resort towns of the same caliber. Workforce housing has long been a priority for city and county planners. Many subdivisions offer moderately priced choices to protect the opportunity for just about anyone to purchase a piece of this Wasatch Mountain paradise. Many consider Park City to be a bedroom community of Salt Lake City. With easy access via I-80, the commute is less than half an hour from many areas of town. It can be far quicker to travel from Park City to Salt Lake than from neighborhoods to the north and south of Utah’s capital. Salt Lake is frequently lauded for job growth, especially in the tech industry. The town itself is home to a variety of international companies, including Rossignol, Backcountry.com and SkullCandy. Eastern Summit County–which includes the communities of Oakley, Henefer, Coalville (the county seat), Kamas and Francis–is primarily agrarian. There you’ll find the classic wide-open spaces and abundant ranches of the West. If you’re looking for a simpler way of life, you’ll enjoy the abundance of small town charm and sense of community, from fairs and rodeos, to the serene Wasatch-Cache National Forest. We could not have been more satisfied with our experience dealing with Christine Grenney. Our experience with Christine was excellent; our home sold in less than two weeks! Christine is top notch in every way. She was ultra- responsive, very personable and brought a ton of knowledge and skill to bear in the deal. Would recommend in a heartbeat. Very knowledgeable in all aspects of the transaction. Good at solving issues and problems both big & small. Great access to communication. Good listener.